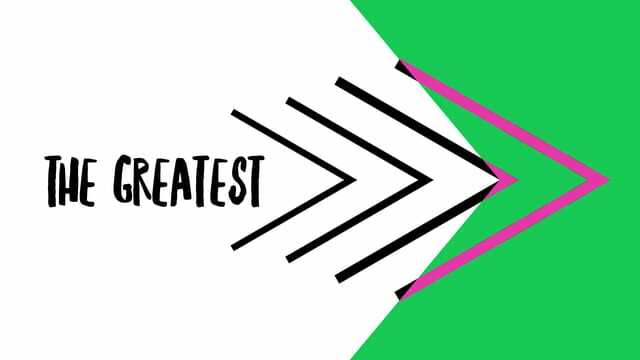 The Greatest explores what really matters to Jesus – love – and it will answer questions such as: Why does love matter so much? What does it mean to love? How can we grow in our capacity to love? Together, let's learn what it really means to love well. The Ridge wishes all moms a very Happy Mother's Day! http://theridge.church/startingpoint Next Sunday after all services: If you have questions about faith, God, forgiveness, Jesus or the Bible, Starting Point might be your next step. Learn more at theridge.church/startingpoint, or plan to attend a 15-minute orientation in the conference room after one of the three services next Sunday. http://theridge.church/crccampusretreat College students! CRC Campus is heading to Ohiopyle to enjoy the outdoors, spend some time in discussion, and hang out for a summer retreat! Registration is open until May 28th, and the cost is just $25. Snow in NC...neighbors with a baby, cold, no power. Come stay with us. People matter to God, so people should matter to us. We need to keep the main thing...the main thing. The work of love starts at home. If we love God with all of our heart, soul and mind, then it naturally follows that we already love ourselves because then we see ourselves the way God sees us. The next logical step is that we see everyone around us the way God sees them and love them the same way. • we should invite anyone to be our neighbor. • we can love our neighbor, even if we disagree with them. • we should be intentional with our time with our neighbors. –Instead of seeing someone different, see someone who hurts like you. –Instead of seeing someone as a burden, see an opportunity to serve. –Instead of seeing someone who is a problem, see a neighbor to love. We should make people matter in our life by intentionally making time to invite anyone to be our neighbor whether you agree with them or not.